Taking in Harley-Davidson's diversified motorcycles of the future. 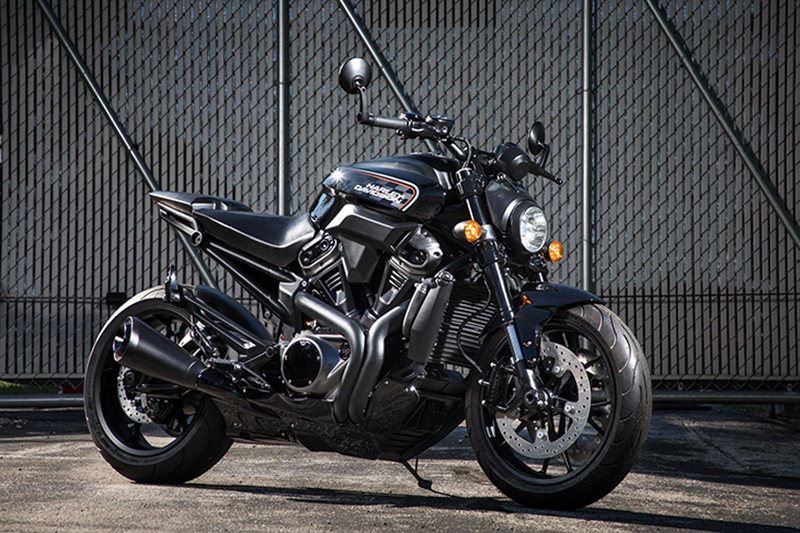 It’s safe to say Harley-Davidson shocked the industry globally this week when they unveiled a selection of ‘future’ models that are due launch over the next couple of years. 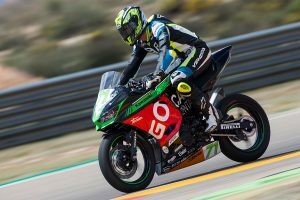 The announcement confirmed a significantly new direction for the popular American manufacturer as it delves into completely different segments of the motorcycle market, sparking wide-spread debate between purists of the brand and those accepting of the changes. Change is always hard to accept for some, and that’s been evident in social media discussions, but change is inevitable and I think what Harley-Davidson has in the pipeline are some of the most exciting prospects in many years for not only the company, but also the industry. 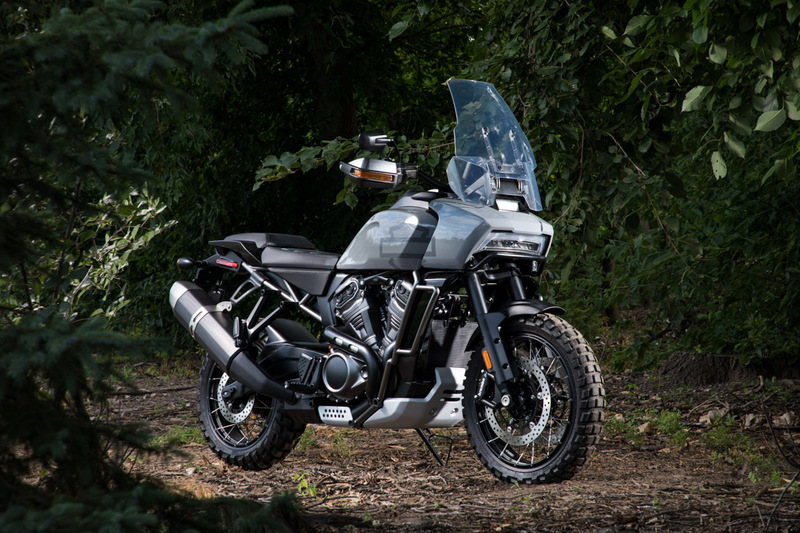 On Monday it was revealed Harley-Davidson would roll out its first adventure bike dubbed the Pan America, along with its maiden Streetfighter and electric motorcycle called the LiveWire. In the mix is also a Custom model, which is essentially a stripped down version of its renowned style of motorcycle, boasting a muscular stance and 1250cc powerplant. Details are still very limited, and while it’s easy to speculate how each model will compare to its competitors in both specifications and riding characteristics – for better or worse – the only way of truly determining how they will be received is by actually riding the production models when they are available. The Pan America headlines Harley’s release of future models, and from what I can see, it’s taken the brunt of criticism just from the small selection of prototype images. It’s a stark contrast from HD’s usual line-up as it endeavours to jump into the ever-growing adventure scene, and I’m truly excited about this model. Featuring a 1250cc v-twin engine, and due to launch in 2020, the Pan America is distinctively styled with a sharp and modern design. Its large engine displacement means it will most likely be at the heavier end of the scale along with any big-bore adventure bike, so it’s really going to be up to its handling and reliability as to whether it becomes a hit. The 975cc Streetfighter is what I believe will be a strong contender in the naked bike sector. It’s sporty, muscular and fits right into the guidelines of being a popular choice. I think this will be the selection for fans of the Harley-Davidson brand that don’t want the cruiser-style like much of its current offering, yet still want the unique HD characteristics and beefy engine to match. Electric motorcycles are a divisive topic – love them or hate them, they’re here to stay and will only make a greater presence in the market as the years roll by. 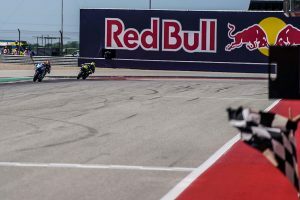 I really think they have their place in motorcycling and I’m pretty eager to see what comes out of future developments. 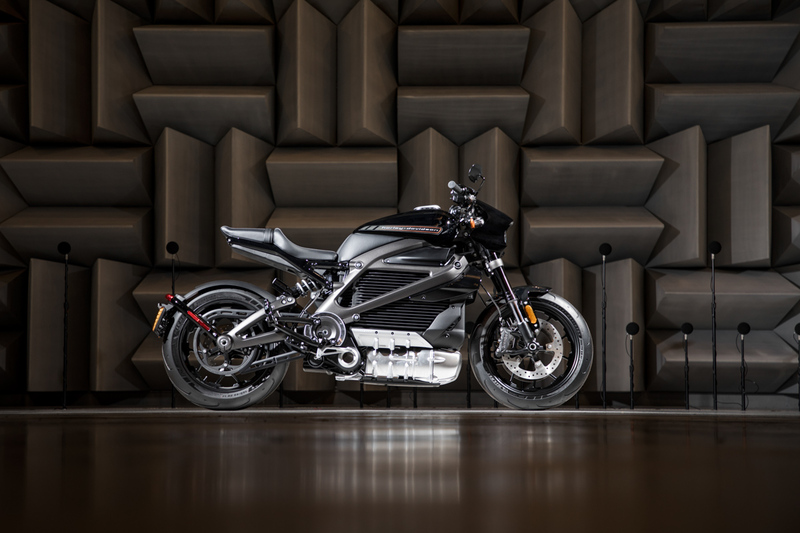 This year Harley became a stakeholder in electric motorcycle company Alta, and while it’s LiveWire model isn’t clearly derived from the investment, there’ll most likely be a strong link between technologies used. The LiveWire is the beginning of a fresh new range of electric motorcycles that are due to be unveiled by HD, and it’s set to be launched as soon as next year. 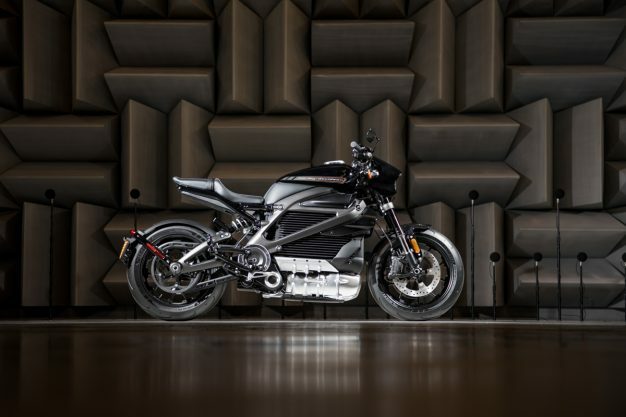 The LiveWire is futuristically designed, which is what comes to mind when you think of an electric motorcycle, yet it still retains a strong presence of traditional motorcycle styling. The battery-powered engine looks big and beefy, so it’s definitely going to be interesting to see what numbers it produces. It’s always exciting when a company or manufacturer branches out and endeavours to try something new – it doesn’t always pan out well, but I really think Harley-Davidson is heading in the right direction with its future plans that will really compliment its existing range. 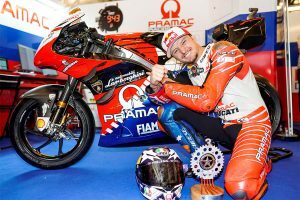 I’ve personally never been too fanatical about the brand, yet following Monday’s news, I’ve become increasingly intrigued in the Milwaukee-based company and what they will be offering in the years to come.